Here's what I hope to see from the Democratic party come the national convention in August. I think an Obama - Edwards ticket can win and more importantly, I think an Obama - Edwards Administration would be good for the country. I think if you really study these candidates (instead of just listening to the media) this is the best combination. First, I'll tell you why Obama - Edwards. Then I'll tell you why not Clinton. As part of our caucus preparation, Kate and I picked five issues and made bullet points on the candidates' positions on those topics. First of all, John Edwards has the best website -- and not just among the top three candidates. 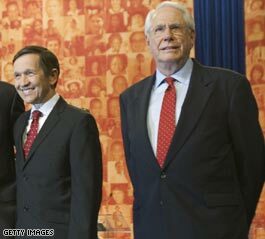 We looked at Rep. Kucinich and Fmr. Sen. Gravel as well. Edwards has his entire plan in a download-able .pdf as well as linked throughout his site. He goes into great detail (as if someone spent a lot of time on his plan) and presents his ideas in an organized and aesthetically pleasing format. Organization always gets my attention. I'm not going to spend a lot of time on Kucinich & Gravel, so let's get them out of the way. Dennis Kucinich wants to spend more money on Iraqis than Americans. I think his plan would leave Iraq in a better position than the United States. I'm all for ending the war -- but sending people back to rebuild the entire country and paying restitution to Iraqi children just seems like a bit much. Links from Mike Gravel's page lead to youtube.com postings, instead of fact sheets. Plus, it's disorganized. Kucinich wants to spend more on Iraqis than Americans. Gravel does not have his ducks in a row. Neither are what the Democrats call "viable." As we discussed, Edwards is organized. It's actually the foundation of his candidacy. John Edwards believes in workers organizing and he's big into unions. Unfortunately for him, most people don't belong to unions. They have 401k's, not pensions. That's why Edwards is trailing and that's why Edwards won't get the nomination. At the same time, Obama has mass appeal. Organized workers would stand behind him if John Edwards stood next to him. Obama & Edwards also have similar plans for Iraq, the environment, education and other issues. Both seem sincere, although Obama has gotten caught up in a lot of squabbling with Clinton. I applaud Edwards for staying above the fray, even though that fray gets the other candidates more face time. Hillary Clinton, despite her best intentions, is too divisive. Women like her. Women who do not condone extramarital shenanigans do not. 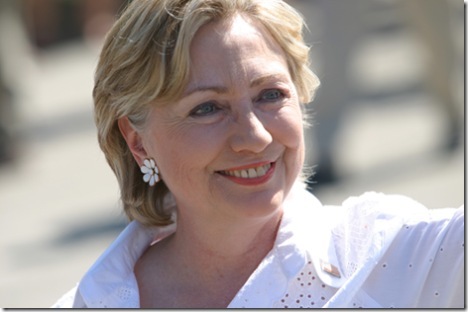 There are those who think she stayed will Bill to further her own agenda -- and that that shows strength. It could also show weakness though, and a lack of pride. Clinton cannot not count on women. Also, I was not a fan of her Iraq exit strategy or environmental plans. She seemed more concerned (on her website) with meeting deadlines than with meeting benchmarks. There's something about her I just don't like. If she's president, that something will still be there. I'd rather have president who makes me feel cautious optimism than slight distrust.